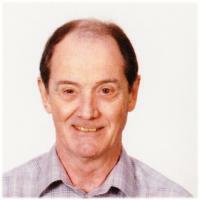 Peter M. Noyes, 70, of Breakneck Rd. died Thursday, Sept 25, at Harrington Hospital, after being stricken ill at home. Duram of Clarksville, TN, Elaine DiGiovanni of Laurel, MD, eight grandchildren Clyde, Michaela, Paige, Alex, Cecilia, Guy, Nathaniel, and Abigail; and several nephews and nieces. Born in Attleboro, he was the son of the late Philip and Irene (Croisetiere) Noyes and lived in the Sturbridge area for many years. Peter’s education included, Holliston High School Class of 1962; Worcester State College, Quinsigmong College, and Curry College where he earned his Master Degree in Criminal Justice. He was a Vietnam Veteran serving in the US Marine Corps as a Crypto Linguistics specialist working along the DMZ 1967-68. Peter was a State Trooper for the Massachusetts State Police from 1971 until his retirement in 2002. He was an accident reconstruction specialist for most of his career. He was a member of St. Anne’s parish in Fiskdale. His Mass of Christian Burial, will be held at 10:00 AM; Friday, Oct. 3, in St.
Anne’s Church, 16 Church St. Fiskdale section of Sturbridge. (Please go directly to church). Burial will follow with Military Honors in St. Anne’s Cemetery. Calling hours are 4:00 to 8:00 PM, Thursday, Oct. 2 , in the Belanger-Bullard Funeral Home, 51 Marcy St. Southbridge. Memorial contributions may be made to St. Jude Children’s Research Hospital, 262 Danny Thomas Pl, Memphis, TN 38105.